In this contributor article, Amy Zukeran of Amy’s Cannabis Garden explains how cannabis can be used as a treatment for chronic pain and how it can help reduce the opioid epidemic. The original article can be found here. Did you know that one out of four people in the U.S. suffer from chronic pain at some point in their lives? One hundred million Americans have intractable, constant pain that affects their quality of life. Per research funded by the Institute of Medicine, chronic pain absences and lost work productivity cost approximately 560 to 635 billion dollars a year to the states. By all accounts, pain is a very complicated bodily function that serves an important function. It is the body’s way of saying, “Something is wrong.” There are two types of chronic pain: nociceptive and neuropathic. Nociceptive pain is caused by tissue damage or inflammation. Neuropathic pain involves the nervous system which has been damaged or is malfunctioning. The most common reason why people seek out medical help and medical cannabis is to ease chronic pain. Somatic pain. These are signals that travel from peripheral nervous systems to the brain. They are typically, experienced as a dull, constant ache in the injured area. Neuropathic pain. This results when nerves are injured in some form. It is often experienced as a burning sensation. This pain doesn’t usually respond to opiates and is often the hardest to treat. The endocannabinoid system (ECS) contains the body’s naturally occurring cannabinoid receptors. These receptors are located in the central and peripheral nervous systems. The ECS is involved in a plethora of physiological processes including pain sensation, and the mediation of the psychoactive effects of cannabis. There are two major endocannabinoid receptors in the body, CB1 and CB2. 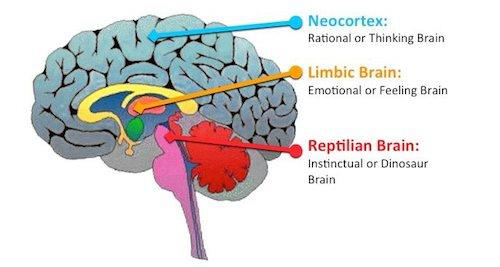 CB1 receptors are primarily located in the the hippocampus, cerebellum and the basal ganglia, otherwise known as the “reptilian” brain, which controls emotions and the most basic of physiological functions. They can also be found in the peripheral organs and nerves. CB1 receptors react with THC and help to mediate pain and mood. CB2 receptors are found mainly in the peripheral nervous system, particularly the immune system and related organs like the thymus gland, spleen, and tonsils. They are also found in the brain but not as densely as CB1 receptors. CB2 receptors have been known to reduce inflammation and boost immune function. In a variety of clinical trials, CB2 receptors have been shown to decrease nociception, which is a good sign for medical use. CB1 and CB2 receptors sometimes share structural similarities but their distribution and activity diverge. Activation of one or both receptors by the addition of cannabinoids simultaneously leads to physiological events such as nerve signal mediation (read: “pain reduction” and “anti-inflammatory”) by the neurotransmitters acetylcholine, glutamate and dopamine. The introduction of plant-based cannabinoids (phytocannabinoids) triggers the pain control and anti-inflammatory qualities of the CB1 and CB2 receptors. The two best studied phytocannabinoids are delta-9-tetrahydrocannabinol (THC) and cannabidiol (CBD). THC was the first compound identified as a major psychoactive component, and it prefers CB1 receptors. Some CB2 receptors also respond to THC. CBD has practically no psychoactive activity and a low affinity for CB1 and CB2 receptors. However, activity at CB2 receptors seems to account for anti-inflammatory qualities and pain control. Studies of cannabis use have revealed an “entourage effect.” Cannabinoids work together to create the best pain-relieving profile. Single compound doses (for example, the use of only THC) result in the reduced efficacy of medical cannabis administration. The Legal Solution: Opioids or Medical Marijuana? Since 1999, opioid prescriptions in North America increased by 400 percent. Opiates are powerful painkillers for most pain scenarios and the most frequently used include oxycodone, hydrophorphone, morphine, and codeine. These drugs work by locking into the body’s natural opioid receptors, which are different from endocannabinoid receptors, blocking nerves from sending pain signals. Unfortunately, after a short period of use, the body adapts to the overstimulation of receptors and receptors are removed in response. This phenomenon is known as “tolerance.” The higher someone’s tolerance of an opioid, the more they must ingest to get the same effect. Editor’s Note: Withdrawal symptoms result from the removal of these receptors. The body becomes accustomed to the regular dosage of opioids, and becomes insensitive to natural opioid agonists. There are reports of many patients on opioids, progressing to cheaper, more potent drugs such as heroin. However, other reports demonstrate that where medical marijuana is legal, opioid use drops. In fact, the Journal of the American Medical Association found that when states have medical cannabis on the books, there is a nearly 25 percent drop in opioid overdose deaths compared to states without medical cannabis. Research has also revealed that patients begin to reduce their opioid use when they begin to ingest medical marijuana. Furthermore, reports have found that the use of marijuana is an effective substitute for patients with a high potential to abuse opiates. A 2016 study out of the University of Michigan demonstrated that cannabis improved the quality of life of the patient, decreased side effects of other meds and, reduced opioid use by 64 percent, on average. Sadly, the physician community in the U.S., continues to claim that there aren’t enough confirmed world-wide studies that measure up to the American standard of research methods. Because of this, most doctors refuse to formally endorse the use of medical cannabis to alleviate chronic pain and inflammation. Until marijuana is removed from the federal drug Schedule 1 which purports there is no medicinally redeeming quality in cannabis, America’s physicians and researchers have their hands tied. And, chronic pain and inflammation sufferers will continue to self-medicate, laws be damned.